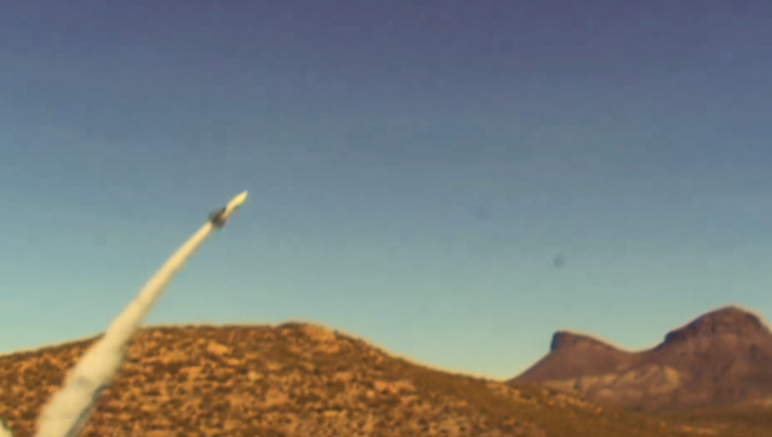 “Mad” Mike Hughes made his own rocket and actually launched himself in it – and survived. Mike made quite a buzz in the media when he said that he’ll make his own rocket, launch it, and prove to others that our Earth is actually flat. And this isn’t his first try! First time he tried, he had some issues with the law and he was not allowed to launch. The second time, he failed to launch. But hey, third time’s a charm, no? The 61-year-old limo driver made a ramp from a mobile home so that he can vertically launch. So, yesterday, on March 25, he successfully launched his rocket. But he didn’t go far. He reached 1,875 feet, or 572 meters, before his rocket ran out of steam (no pun intended, the rocket really was steam-powered). And because he didn’t deploy his parachutes properly, he did land a bit rough, but still survived. His ultimate goal? Hughes reportedly wants to build what he’s calling a Rockoon, or a rocket that hitches a ride into the air aboard a gas-filled balloon. The rocket would then separate and take Hughes to an altitude of 68 miles (110 kilometers), where he could then take pictures to prove the flatness of the Earth, according to the AP. One can see Earth’s curvature starting at an altitude of about 6.6 miles, or 35,000 feet (10,700 m). “Do I believe the Earth is shaped like a Frisbee? I believe it is,” he said in an earlier video posted to his Facebook page. “Do I know for sure? No. That’s why I want to go up in space. Even though it was proven countless times the Earth is a sphere, he still wants to see it for himself. Even though it might seem pointless, you have to give credit where is due – the dude built his own rocket, and launched himself in it, and survived. Be the first to comment on "Flat-Earther took off in his homemade rocket – and survived"